When I got my Personal Iris 4D/25, I had no keyboard for this machine. 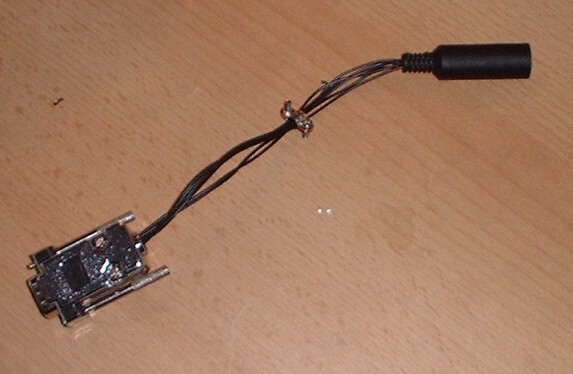 Unfortunately it needs a special keyboard with a DB9 male connector - it's not just a different connector, the communication protocol of the keyboard also differs from standard PS/2 or AT keyobards. But luckily I own an SGI Indigo 1 including a keyboard. This keyboard uses the same protocol as the one of many other old SGI machines, but has a different connector (it has a Mini-DIN-6 connector like a PS/2 keyboard). So I had to build an adaptor. Then there is still a chance: There exists a tutorial how to build a cnoverter for the SGI Indigo to plug in standard PS/2 keyboards and mice. But this one is far trickier.